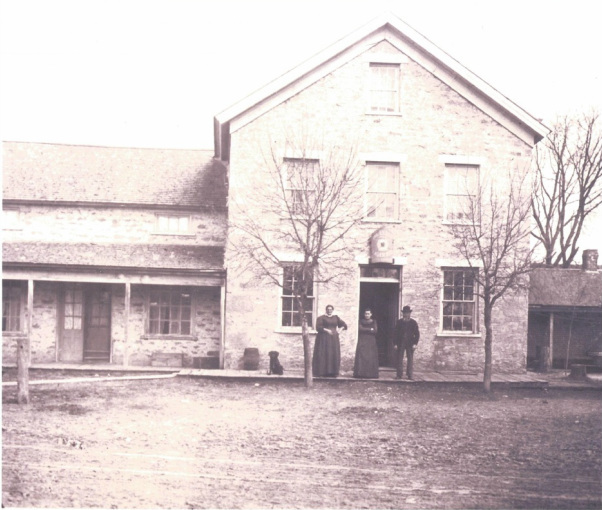 ﻿The original Old Stone Building was constructed in 1849 by a man named Peter Hill. The building is very sturdy with outside walls measuring two feet thick ﻿and basement walls measuring 40 inches thick. The basement beams are hand hewn and a foot square. Old fashioned iron square nails were used throughout ﻿the house, and the construction is of native stone. A number of ﻿businesses and owners have operated in this building. In 1866 it was purchased by Adrian Virnig and used as a grocery store and saloon. Some articles say it was also a bowling alley. Their son, Msgr. Charles Virnig, said his first mass in 1909 at St. Francis Xavier Church. After the Virnigs, there were several brief tenancies before being sold to Mr. John Adler in 1924. He again used the building as a business, selling soft drinks, cigars, tobacco and confectionery. 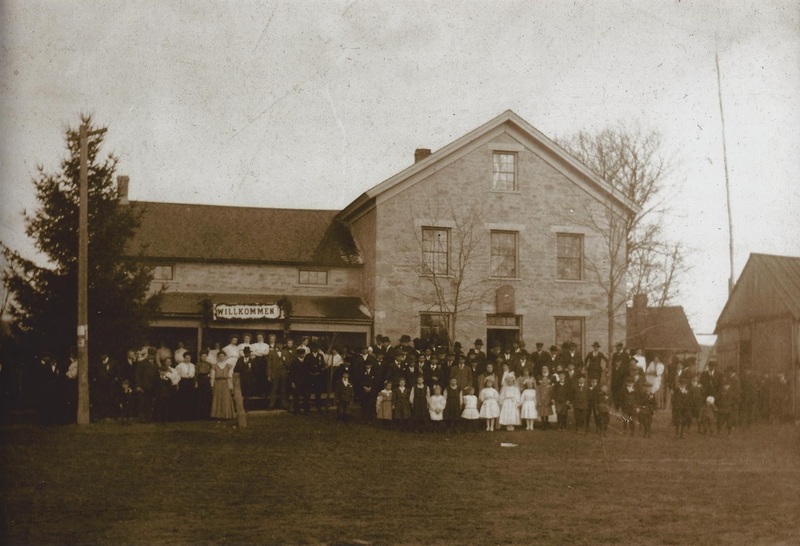 In 1937 the building was purchased by John Birrenkott and operated as Birrenkott's Tavern. After John's passing in 1965, his daughter Coletta Dresen took over and named the tavern Dresen's Bar. It remained Dresen's Bar until Dr. McCue purchased it in 2001. Pictured above is Agnes, Mary and Adrian Virnig. This picture was taken between 1895 and 1905.